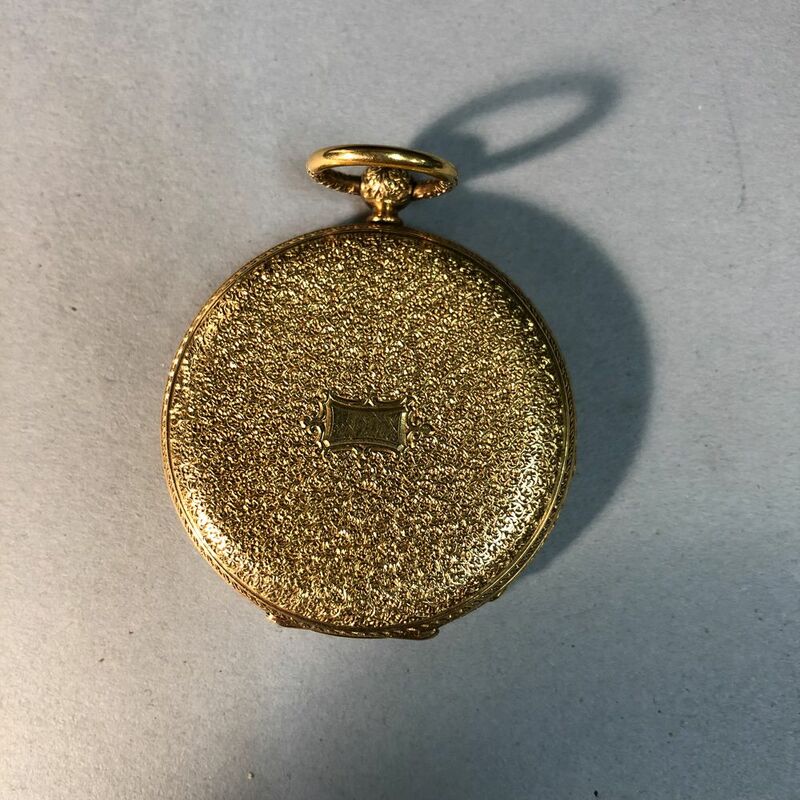 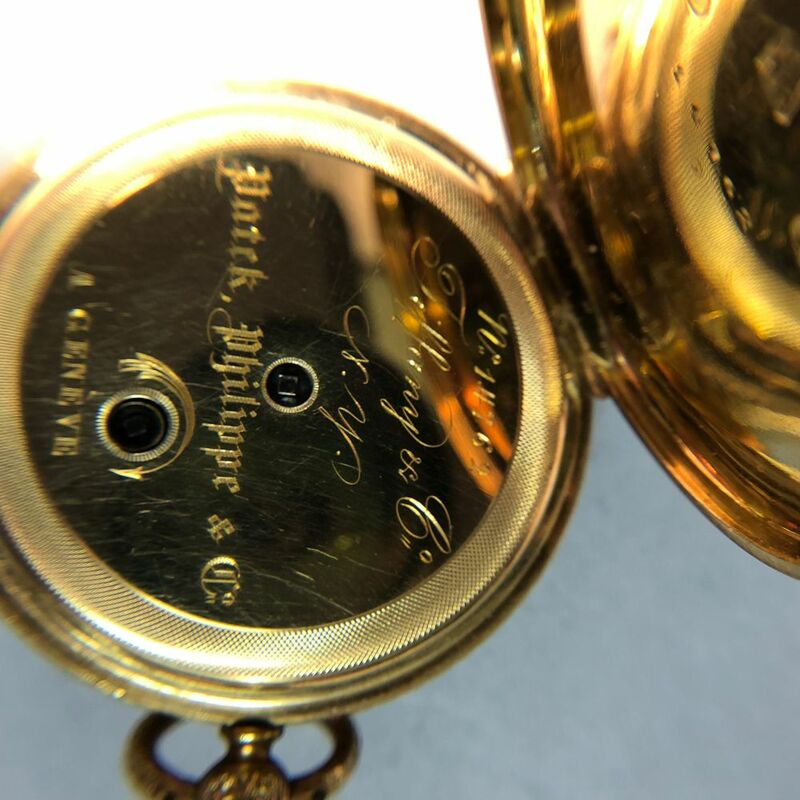 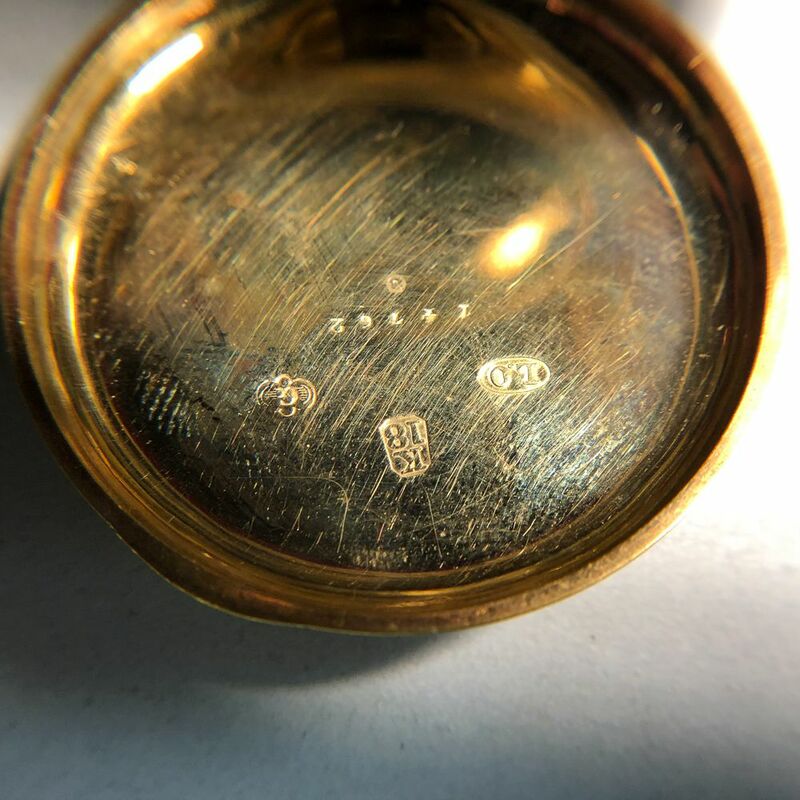 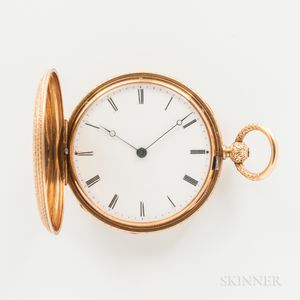 Patek Philippe & Co. for Tiffany & Co. 18kt Gold Hunter-case Watch, highly decorated case, with roman numeral enameled dial, Breguet-style hands, cuvette engraved "No. 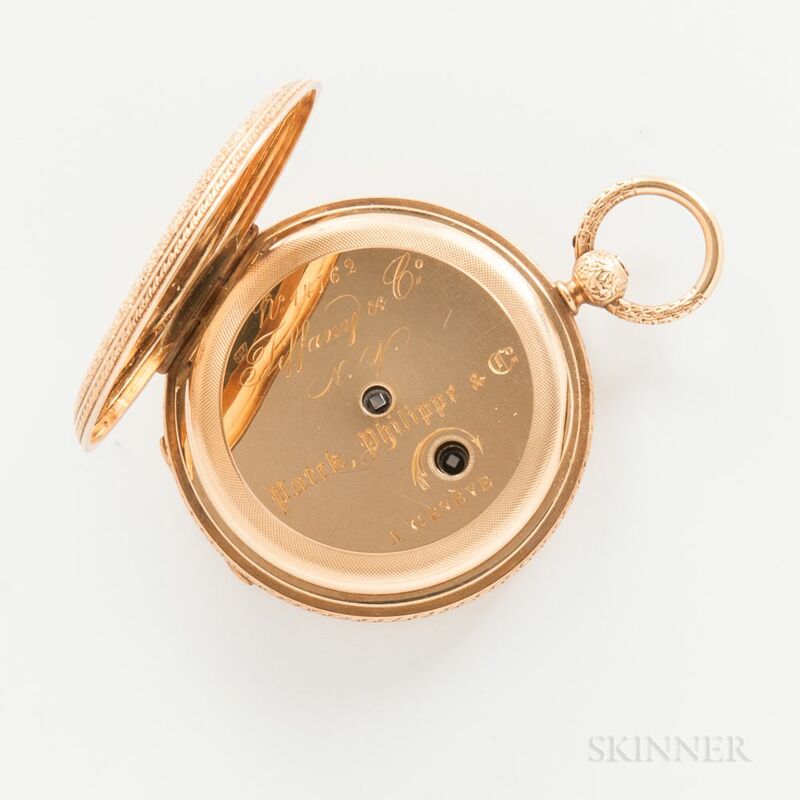 14762/Tiffany 7 Co., N.Y./Patek Philippe & Co., A Geneve," stem wind and set movement, dia. 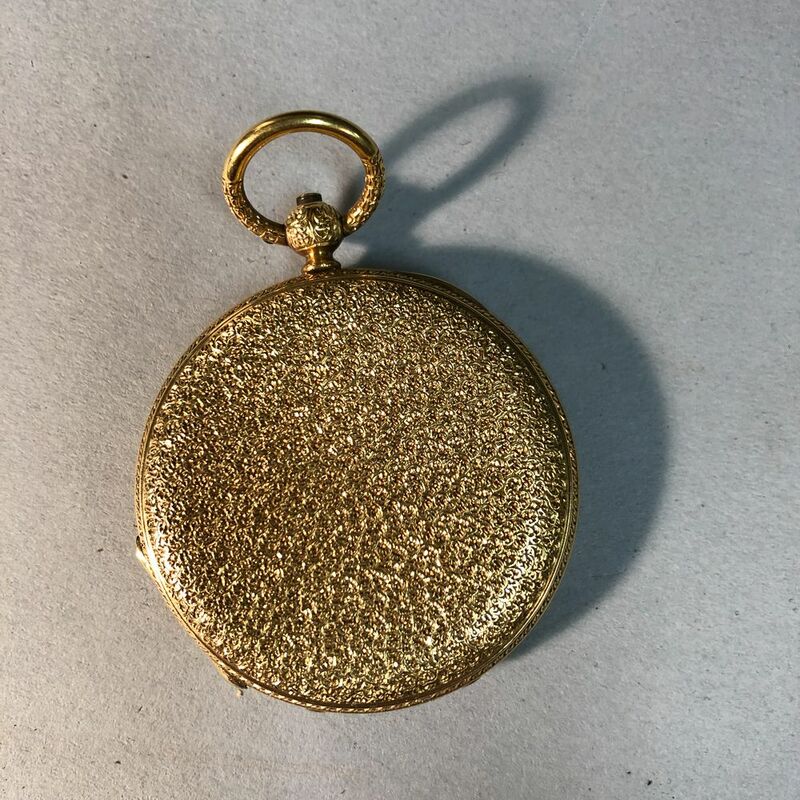 39.5 mm, 47g. 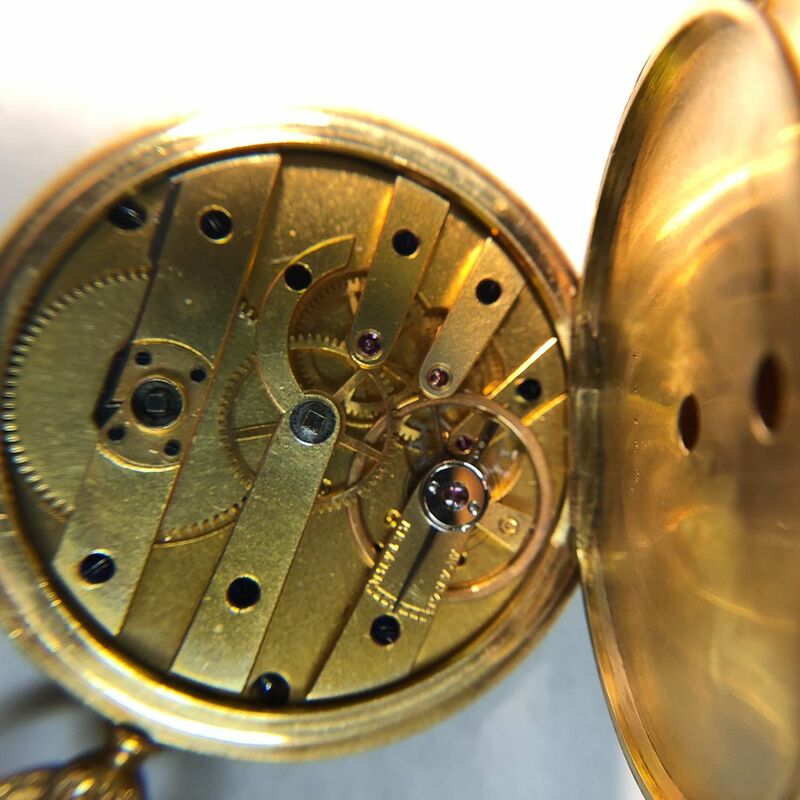 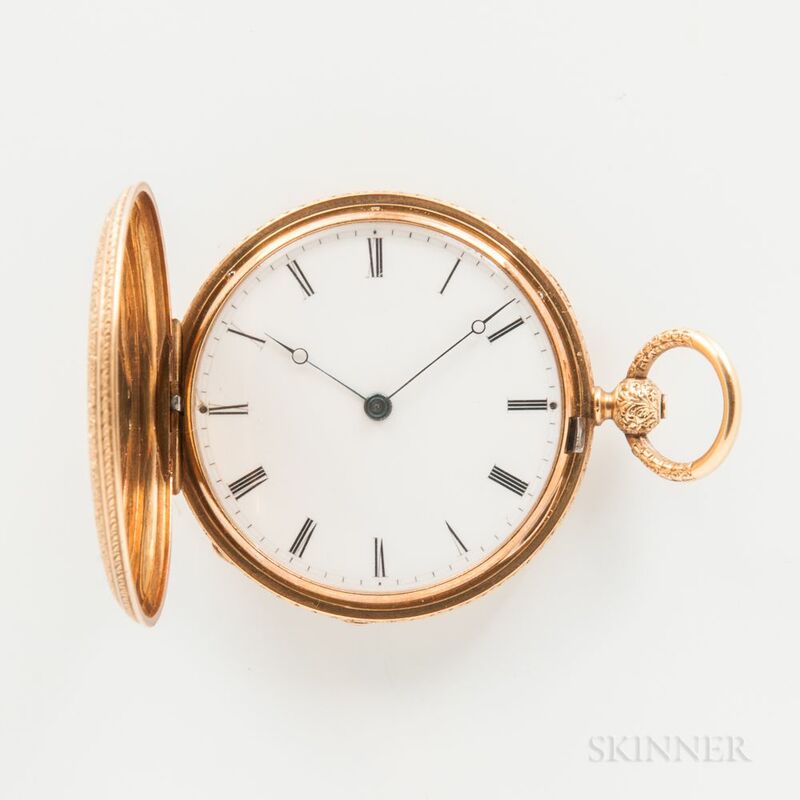 small chip on dial around the 9 o'clock screw, no hairlines, currently setting winding and running, case has very little wear.